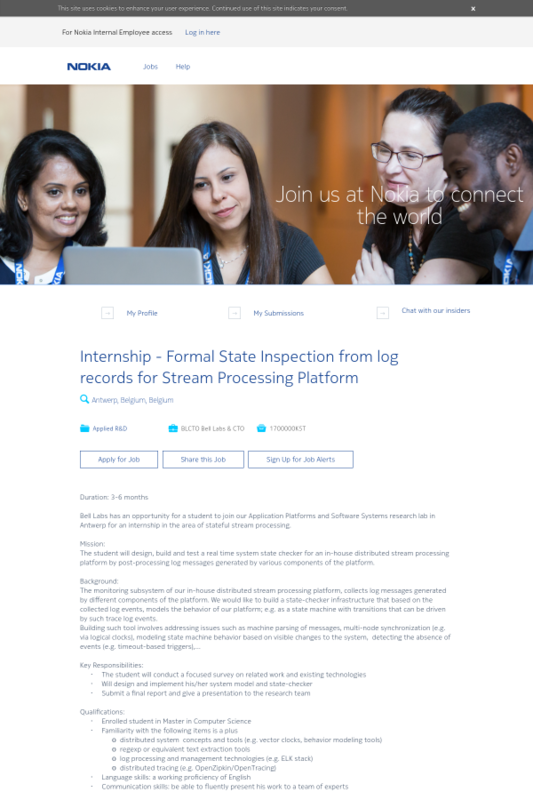 The student will design, build and test a real time system state checker for an in-house distributed stream processing platform by post-processing log messages generated by various components of the platform. The monitoring subsystem of our in-house distributed stream processing platform, collects log messages generated by different components of the platform. We would like to build a state-checker infrastructure that based on the collected log events, models the behavior of our platform; e.g. as a state machine with transitions that can be driven by such trace log events.